Yoolink is a french SaaS software editor with an international talented team. Our main products are YoolinkPro and You Don't Need a CRM! 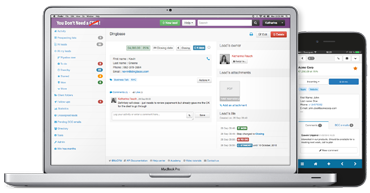 YoolinkPro is a corporate social network that helps spread information inside your company and boost your team productivity. You Don't Need a CRM helps thousands of sales people from all around the world to manage their sales pipeline and close more deals. Discover You Don't Need a CRM! © Yoolink / Blog / Twitter / TOS / YoolinkPro / You Don't Need a CRM!